By definition this project was a remodel, but with everything removed and walls reconfigured, it was a blank slate. 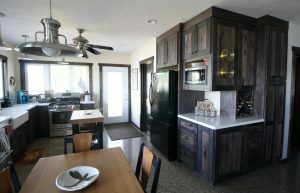 As a lake house, we wanted to maximize the views and open the kitchen to the outside. 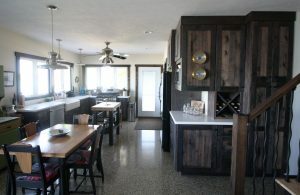 We added two large sets of windows, a glass entry door, and a slider in the adjoining eating area, to complement all the outdoor activities. The main work area with apron farm sink and range also take advantage of these views. 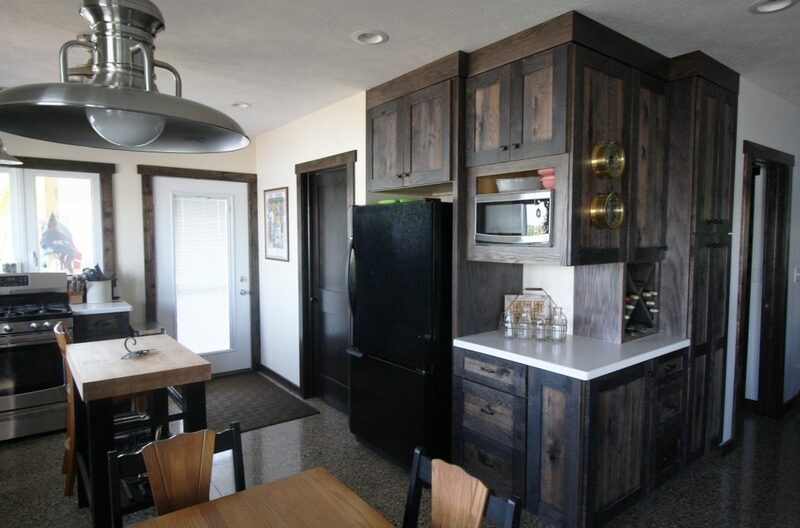 The rerefrigerator and pantry are tucked into the center of the home making the kitchen storage center complete. 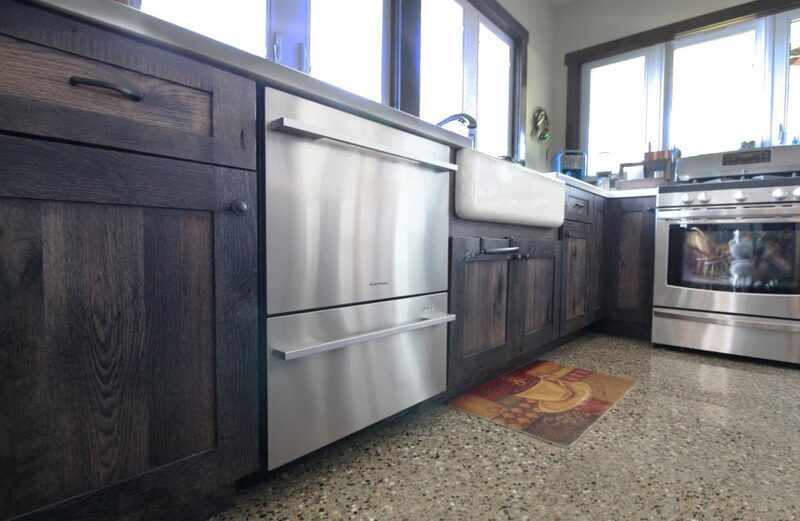 Another counter under the built-in microwave provides an extra working and serving area. 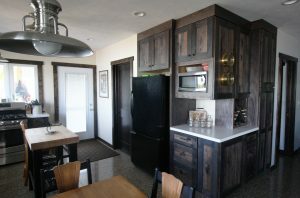 A unique rustic finish was applied to the cabinetry. 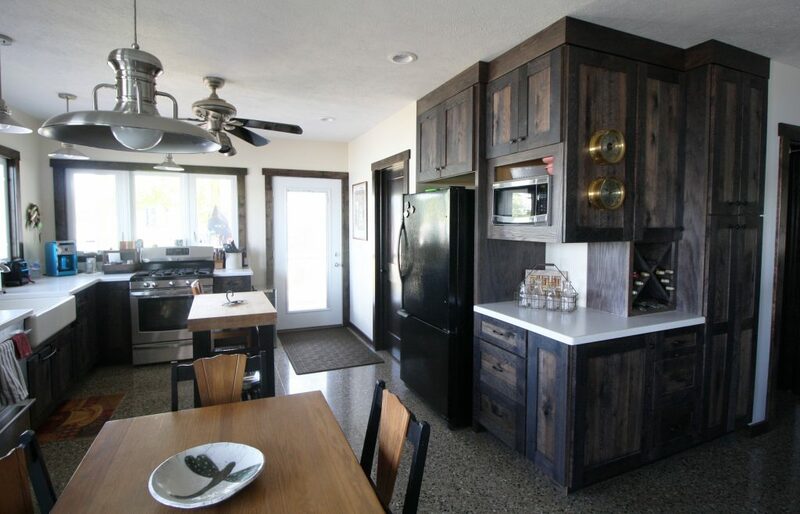 Paired with a light quartz countertop it provides for a one-of-a-kind easy going look.